Breath of the Wild is a great game for newcomers and old fans alike to the Zelda franchise. 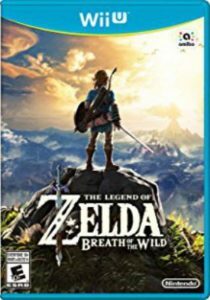 It’s an open world adventure (think along the lines of Skyrim) where you can spend time exploring the vast expanses of the land of Hyrule. Rush ahead to defeat Ganon or meander through the forests hunting or in search of hidden treasure. It’s your choice–your game, your decision! Are you up to the challenge to defeat Calamity Ganon and save Hyrule once again? 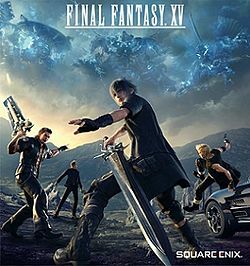 While Final Fantasy fans have been waiting for Final Fantasy XV for a long, long (really long) time, it was definitely worth the wait! It takes a break from the turn-based format that previous FFs have followed for an active-combat system. The world is also ginormous with plenty for new and old players alike to explore as you journey onward with Noctis and the boys. FFXV will be a road-trip that will stick with you for years to come. Check out this game for PS4 or Xbox One. Do you love the video games Dynasty Warriors and The Legend of Zelda? If so, then Hyrule Warriors may be the game for you! Even if you haven’t played all the Zelda games under the sun, the game does a great enough job of explaining things without huge spoilers for the games themselves. Never played Dynasty Warriors? No worries! The game does an excellent job of teaching beginners as well! 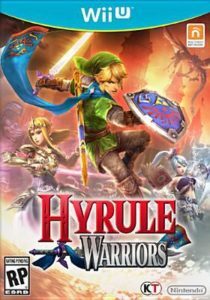 We have the game available in two formats: Wii U [note: title is hyrule warrior legends] and 3DS. It’s the perfect blend between the two game styles to take you on new adventures in Hyrule. Hey! Listen! 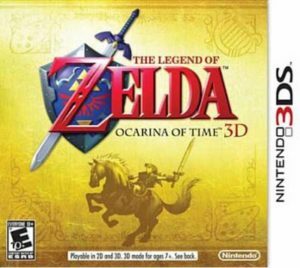 Never had the chance to play Legend of Zelda: The Ocarina of Time when it was originally released for the Nintendo 64 in 1998? Do you happen to own (or can borrow from an awesome person) a Nintendo 3DS? If you answered “yes” to both of these questions, good news! We have it at the library! Follow Link through time to save the world from destruction yet again with the help of your fairy companion Navi. Even those who played it originally will enjoy it with its updated graphics and handheld format to take with you anywhere. Are you ready to brave the dreaded Water Temple?